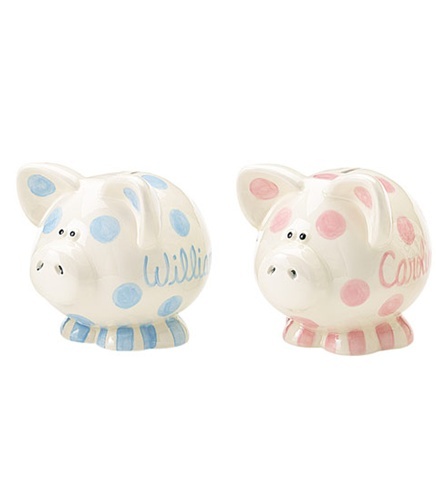 Every child needs a piggy bank! 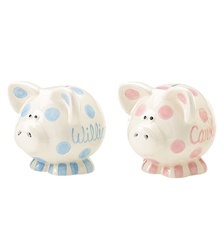 These banks make a great baby shower, birthday, or anytime gift. Piggy banks are equipped with a rubber stopper on the bottom for easy access. Paints used are non-toxic and lead free. Please allow 3-5 days to ship, each piggy is made to order. Comes wrapped in a cellophane bag with bow and gift card.